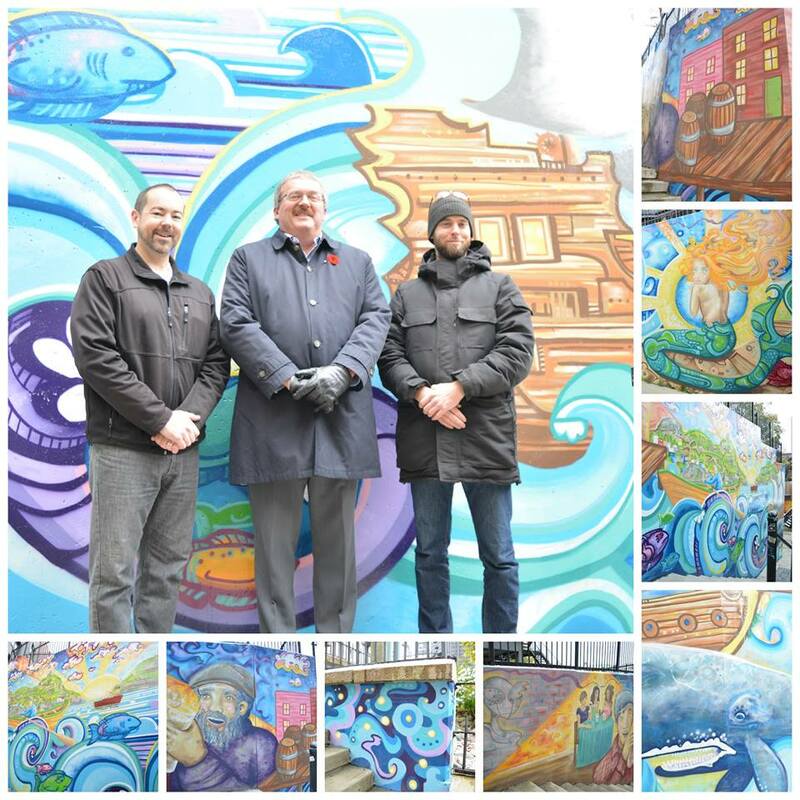 City of St. John’s Councillor Sandy Hickman, pictured here with Ian Callaghan of Benjamin Moore and Donny Traverse from our Torbay Road Paint Shop, unveiled the large graffiti mural on Scanlan’s Lane. Ian and Donny coordinated the donation of materials for the mural, which ironically included an anti-graffiti coating so residents and visitors will be able to enjoy this mural for years to come. Congrats to City of St. John’s. We are proud to have supported this project!